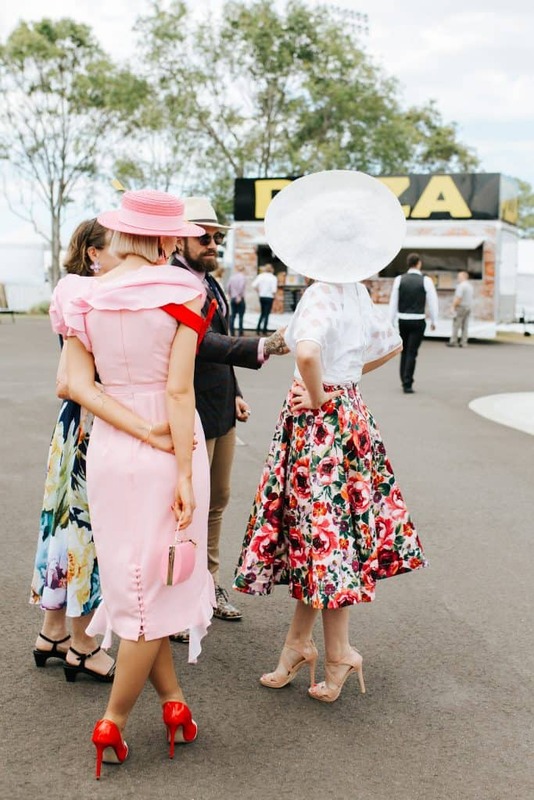 For fashionistas, racegoers and punters alike, this Winter racing season is going to be bigger and better than any other year, and here’s why. Firstly, there’s Race Weekend being two days of back to back racing with the Hot 91 Ladies Oaks Day followed by the UBET Moreton Cup the very next day. For someone like me who loves dressing up, owns a racehorse and doesn’t mind a drink, that’s like doing Dreamworld two days in a row. Minus the fact that Dreamworld doesn’t serve Champagne, nor allow you to bet so I guess, it’s actually not as good. Anyway, moving on, exactly 28 days later we celebrate the Scott McMahon Electrical Caloundra Cup. A months’ worth of fun times in my opinion. The Sunshine Coast Turf Club are giving away 2 x tickets in the Oaks Hotels & Resort Trackside Marquee on the Scott McMahon Caloundra Cup Day valued at $350. Be treated to Canapes, a 3 course sit down lunch and a 5-hour beverage package for you and a friend. Post your best race day photo on Instagram & Facebook do the following to go in the draw. For the female gender, the Hot 91 Ladies Oaks Day is like no other in the racing calendar. We wake up, makeup, throw a dress on, style our fascinator, and walk out the door feeling like royalty. There are no other events on the Sunshine Coast where cracking a bottle of bubbles at 8 am is considered completely acceptable, in fact, highly encouraged. On top of sipping bubbles before Midday, we get to dress up to the nines AND wear a hat! Where else on the Sunshine Coast can you dress up, bet and day drink in style? If you’re looking for something extra special, you’ve missed out on the marquees (you must get in early people! ), however, there is still availability in the Favourites Function Room. Here you’ll indulge in a 3 course sit down luncheon, drinks package, and Racebook in air-conditioned comfort with a separate bar and tote. Or if you’re more of a ‘let’s relax in the sun and watch the horses run past’ sort of person, then general admission is for you. 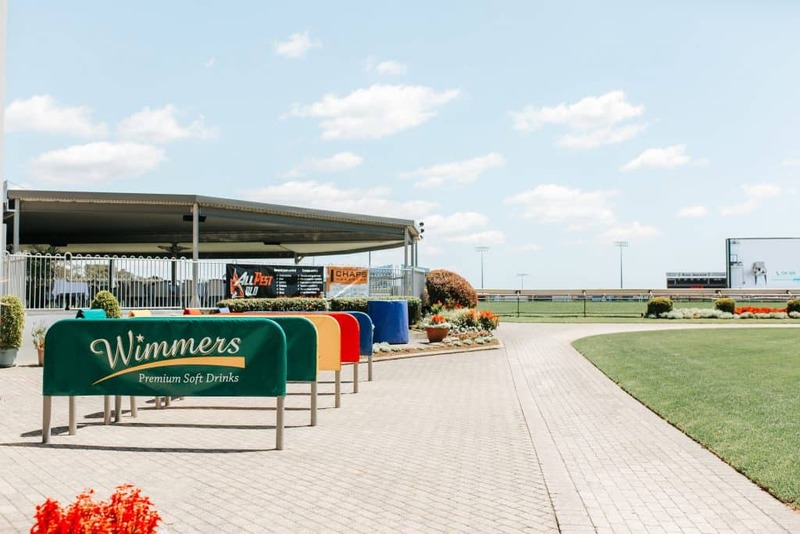 The Turf Club has really put it on for you this year with a standalone Pimms Bar and a Furphy Beer stall to ensure you remain hydrated all day. Food stalls from Zambrero Mexican, One world food truck and yummy wood fire pizza. Just a side note, if you’re looking for me that day, there’s a very high chance you’ll find me at the Pimm’s bar. 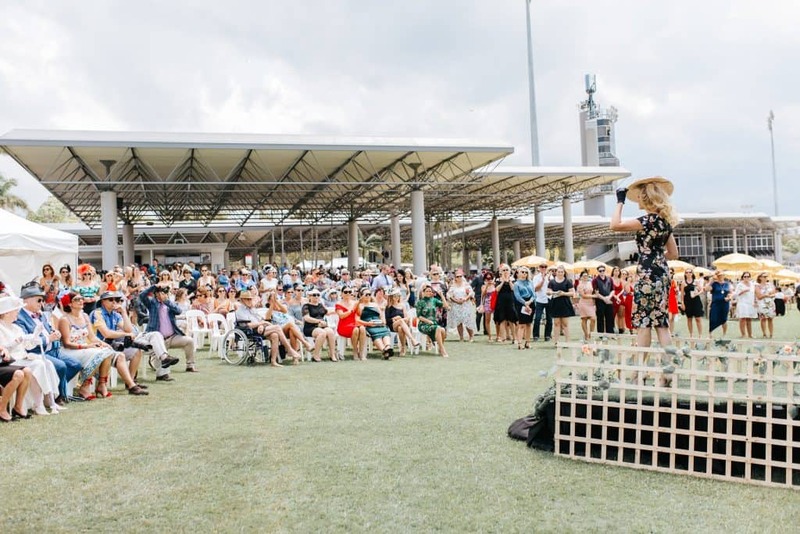 The Sunshine Coast Turf Club has introduced 4 categories for this years Morayfield Shopping Centre Fashions on the Field. Fabulous Filly’s will represent the Ladies ages 18-39 category, marvellous Mare’s in the Ladies 40+ category, the third category are for captivating couples and of course the shining Stallion’s category, our best dressed Male. We have Kerrilly Watts from Ed Harry and Kathryn Edmonds from Style Magazine as our judges. Click here for further information and requirements, and don’t forget to register between 10:30 am – 12 pm on the day! Head to the chill out zone to see Alexis Kent Sawford between 10:30 am – 12 pm and then again between races until 4 pm. At 4:30 pm, make your way to the main stage where you’ll be treated to the epic sounds of George Sheppard, Amy Sheppard, Emma Sheppard, Michael Butler, Jason Bovino and Dean Gordon from the band Sheppard (obviously). So say Geronimo, say, Geronimo… Bombs away, bombs away! Don’t forget there are free buses frequently stopping from Caloundra to Noosa, so you don’t need to worry about driving or overindulging on the Furphys. 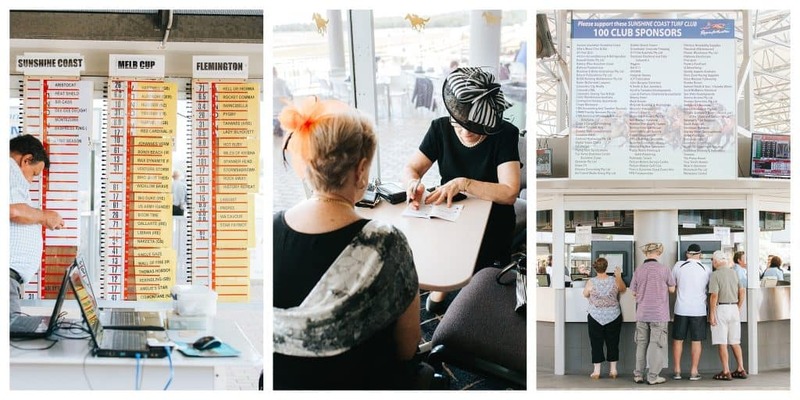 The richest race day the Sunshine Coast Turf Club has ever held. 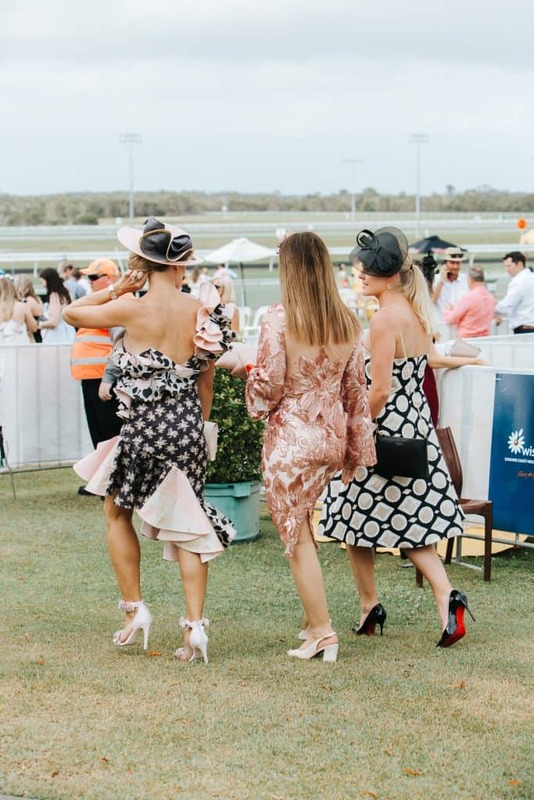 A family-friendly event, the UBET Moreton Cup will cater for a broader audience from serious punters to fashionistas, families, couples and anyone looking for a fun day out. With black type racing and over $1m worth of prize money on offer, it’s fair to say this is quite the serious race event. Whether you’re a punter or not, there is some serious racing happening here on Saturday. With two Group 2 races and five $100,000 listed races, this is the best the coast has seen. For those of you aren’t overly savvy with horse racing, group and listed races are considered to reflect the highest standard of racing according to the Australia Racing Board. Group 2 races require prize money of at least $175,000. Cheers to that! On Saturday 2nd June, I have a makeup appointment at 5 am and hair at 7 am as I plan to be the first person through those gates come 10:30 am. Of course, I have my Ambassador duties that day, but I also plan to have at least two bets on every race. I like to keep it simple. I’m not one to study the form guide until the pages fall apart, but I also don’t choose a horse because the jockey is wearing pink. For me, a bet each way and a boxed trifecta is the perfect bet considering the time and effort (or lack thereof) I study and research the form guide. Again, there will be all the wonderful food and beverage stalls available for your convenience. Pimms, Furphy Beer and Woodfire Pizza. While you’re sipping on your beer and stuffing your face with pizza, rock out to Pat Nicholson playing live from 10:30 am – 4:30 pm. That’s it for now! Remember to post your best photo on social media to go into the draw to win 2 x tickets to the Caloundra Cup in style. 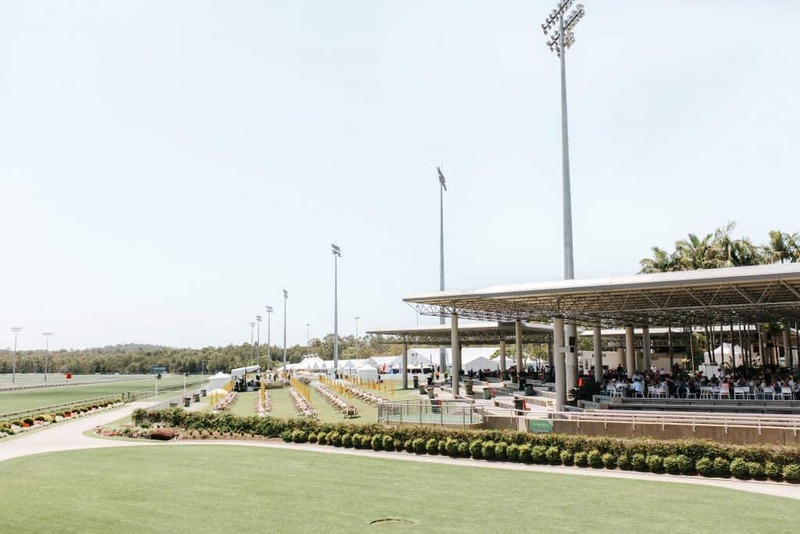 I’ll be taking over the Sunshine Coast Turf Club Instagram account so stay tuned into Instagram stories to see the happenings in and around the track over Race Weekend! Click the links below to purchase tickets now and save. Hot 91 Ladies Oaks Day – Friday 1st June. 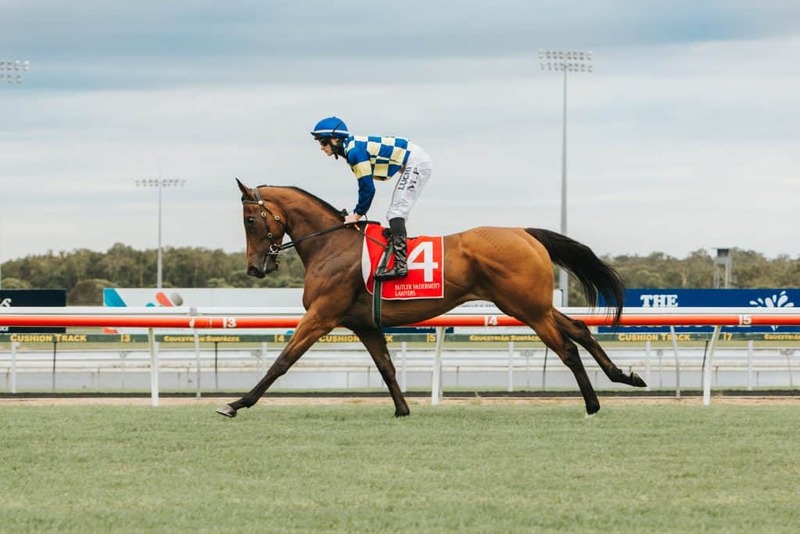 UBET Moreton Cup Raceday – Saturday 2nd June. I must express my love for your kindness supporting people that have the need for help on this topic. Your special dedication to passing the message along became wonderfully informative and has surely made folks like me to get to their goals. Your personal insightful tips and hints indicates a great deal a person like me and additionally to my peers. Thanks a lot; from each one of us. My spouse and i ended up being really happy that Peter managed to do his researching through the precious recommendations he received from your own blog. It is now and again perplexing to just possibly be handing out techniques which the rest may have been making money from. And now we discover we’ve got the website owner to thank for that. The most important explanations you made, the easy website menu, the relationships your site aid to engender – it is many superb, and it’s making our son in addition to the family reason why this issue is pleasurable, and that’s exceedingly fundamental. Many thanks for everything! I wanted to put you that very small word to be able to give many thanks once again relating to the breathtaking tricks you’ve shown here. This is quite extremely open-handed of people like you to supply unreservedly exactly what numerous people could possibly have advertised as an e-book to make some profit for themselves, particularly given that you could possibly have done it if you ever decided. Those pointers also served to be a great way to be certain that other people online have similar keenness similar to my own to learn very much more pertaining to this condition. I believe there are millions of more enjoyable periods ahead for people who read carefully your blog. I have to point out my love for your kindness for persons who absolutely need help on this matter. Your real dedication to getting the message along had been extraordinarily interesting and has really made somebody like me to achieve their targets. Your amazing useful instruction can mean a great deal to me and especially to my mates. With thanks; from each one of us. I must show my appreciation to the writer just for bailing me out of such a trouble. As a result of looking throughout the online world and getting methods which were not helpful, I figured my entire life was over. Living without the solutions to the problems you’ve fixed through the post is a critical case, as well as the kind that could have in a negative way affected my entire career if I hadn’t discovered your blog post. The natural talent and kindness in touching every item was priceless. I am not sure what I would’ve done if I hadn’t discovered such a stuff like this. I can also at this point look ahead to my future. Thanks so much for the skilled and effective help. I won’t be reluctant to endorse the blog to any individual who will need direction on this topic. I truly wanted to jot down a small message to thank you for the magnificent guidelines you are writing here. My long internet search has now been compensated with excellent points to talk about with my good friends. I would suppose that we visitors actually are truly lucky to dwell in a very good website with so many outstanding professionals with insightful strategies. I feel quite lucky to have encountered the web pages and look forward to really more brilliant moments reading here. Thanks a lot once again for a lot of things. I simply had to say thanks again. I’m not certain what I would have created in the absence of those tricks contributed by you concerning my area. It truly was an absolute difficult case for me, but being able to see your skilled way you managed the issue took me to leap for joy. I will be happier for this help as well as trust you know what a great job you were providing training people through the use of a site. Probably you have never come across all of us. I am also writing to make you understand of the incredible discovery my friend’s princess experienced reading your web site. She figured out many pieces, including what it is like to possess an incredible coaching style to have folks without difficulty learn about selected advanced subject matter. You undoubtedly surpassed people’s desires. I appreciate you for delivering such invaluable, trustworthy, explanatory as well as unique tips about your topic to Evelyn. I’m just writing to make you be aware of what a outstanding experience my friend’s girl encountered browsing your site. She figured out many pieces, with the inclusion of what it’s like to have a marvelous coaching character to let other folks without difficulty learn specific impossible subject matter. You undoubtedly exceeded people’s desires. Many thanks for rendering these essential, healthy, edifying and even easy thoughts on that topic to Kate. I simply wanted to compose a small remark in order to appreciate you for all the wonderful guides you are giving on this site. My extended internet investigation has now been compensated with professional content to write about with my good friends. I would believe that most of us readers are very much blessed to be in a good site with very many outstanding people with useful plans. I feel somewhat lucky to have discovered your webpages and look forward to tons of more entertaining times reading here. Thank you again for all the details. I happen to be writing to make you be aware of what a amazing encounter my princess gained going through your webblog. She even learned so many things, including what it is like to have an incredible giving character to let other individuals with no trouble comprehend chosen multifaceted matters. You really exceeded my desires. Many thanks for delivering such warm and helpful, dependable, educational as well as cool tips about your topic to Lizeth. I would like to show some appreciation to you just for bailing me out of this type of matter. As a result of looking out throughout the search engines and getting methods that were not beneficial, I thought my life was over. Existing without the presence of approaches to the difficulties you have resolved by way of your main posting is a serious case, and the ones which might have badly damaged my entire career if I hadn’t come across your site. That natural talent and kindness in taking care of a lot of things was vital. I’m not sure what I would’ve done if I had not encountered such a point like this. It’s possible to at this point look forward to my future. Thank you so much for the impressive and effective help. I will not hesitate to suggest the sites to anybody who would like guidance about this matter. xvygnlz,We have a team of experts who could get you the correct settings for Bellsouth net email login through which, you can easily configure your email account with MS Outlook. qxmqfk Yeezy 350,Thanks for sharing this recipe with us! !